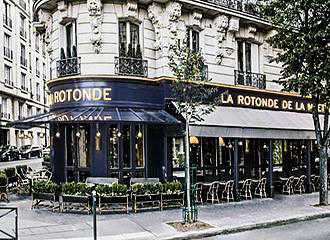 And although the clientele has somewhat changed over the years, La Rotonde still retains much of its Bohemian charm and is still frequented by, painters, artists, stage artists and even film directors, yet it owes a lot of its popularity to both its location and its menu. But La Rotonde Montparnasse also offers a very warm welcome from the two Tafanel brothers who run the place at this time, which means that it has a loyal customer base that gives this restaurant a truly unique atmosphere, still with the same traditions as when it first opened in 1911. This brasserie style restaurant in Paris offers traditional French food with a very wide and varied selection of temping dishes from meat and their beef specialities through to fish and their seafood specialities. You can opt for the menu which includes a starter, main course and dessert for €42 as of 2012 and this is served from midday through to 3pm and from 7pm to 11pm. However, there are classics that are available any time such as Burgundy snails in garlic butter flowed by beef tenderloin with either béarnaise or pepper sauce, or perhaps Norwegian smoked salmon blinis with cream followed by traditional veal with roasted marrow would be more to your liking. Also at La Rotonde there is an a la carte option available and for starters it could be Quiberon oysters, veal carpaccio with capers and lemon or Scottish salmon marinated in dill with potato salad served warm, and these will cost you around €12.50 as of 2012. Main courses are €25.50 and could be a seared fillet of sea bass with lemon confit, wild rice, duck sauce and figs or rump steak with pepper sauce and large fries and you can also add extras such as steamed vegetables, green beans, mashed potatoes, etc for an additional €5 per one. The of course you can follow with some very tempting desserts such as a Rum Baba, macaroon with lemon and ginger, roasted figs and vanilla ice cream, etc, all at a cost of €9.50 as of 2012. This particular restaurant is located in the 6th Arrondissement of Paris, yet only a five minute walk from the Tour Montparnasse Tower and approximately ten minutes from the Jardin du Luxembourg in the opposite direction, this is an ideal place to enjoy a meal after you have been to one of the nearby theatres or somewhere to rest your weary legs in a unique atmosphere. 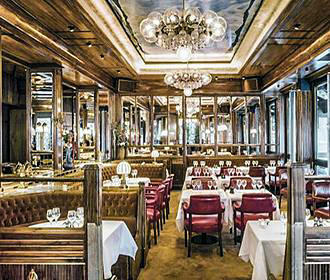 As a cafe in Paris, La Rotonde is open for breakfast from 7.30am and food is served from midday through to 1am for more of a fine dining experience, and then closes at around 2am. Plus there is a terrace for those days when the sun is shining and you want to relax whilst watching the world go by. The nearest metro station to La Rotonde is called Vavin and the nearest RER station is called Port-Royal, but just make sure you get the right place as there is another restaurant in a completely different area of Paris with the same name! 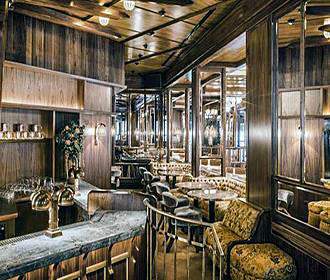 This Brasserie style restaurant in Paris has been established for over 100 years and is one of the well known establishments in the Montparnasse area of Paris that is still frequented by artists, as it was from the very beginning. La Rotonde restaurant was first established by Victor Libion back in 1911 and is one of the well known establishments located in the Montparnasse area of Paris only five minutes from the famous Tour Montparnasse Tower and many theatres. 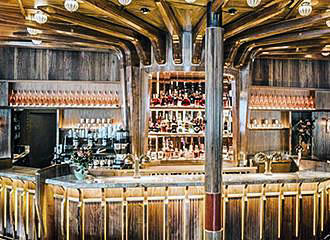 At the time when this brasserie style restaurant opened, the Montparnasse area was already popular with artists and writers, and so, even from the very start, this was one of the places that painters such as Pablo Picasso and surrealists would come to for drinks, chats and hearty French cuisine.